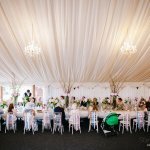 When you have found your perfect wedding venue and set your date, your attention will soon turn to how you are going to make that venue your own. How it looks will set the tone for the celebrations so this is an important step. Settling on a theme and working out what you do and don’t like can be a daunting task – so here are a few tips to help you on your way. 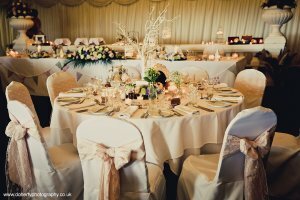 Every great wedding has a theme; from formal and elegant to romantic and relaxed, your theme will create atmosphere in the space you have chosen to entertain your guests. 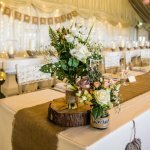 Your chosen time of year is likely to have a large impact on the sort of atmosphere you wish to create – particularly if you are making use of flowers for table centres and decorations. 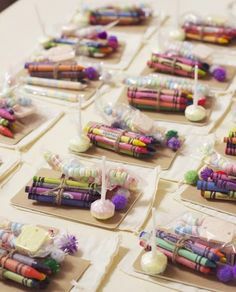 You might also want to stick to a particular colour scheme that can be incorporated not only in your decorations but also bridesmaids’ dresses, bouquets and button holes. 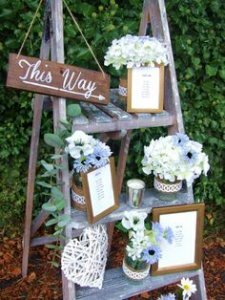 Your theme should personalise your day and set it apart from other weddings. 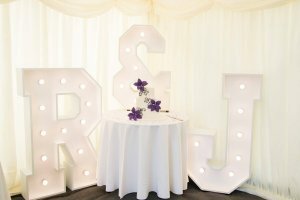 It’s important to check with your wedding venue what’s included in the hire price and what additional things you might want to hire in or make. 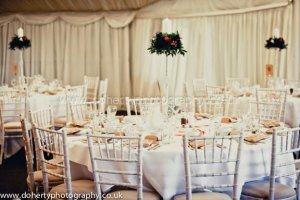 Here at Crockwell, we provide tables, two choices of chairs, all linen, crockery and cutlery. 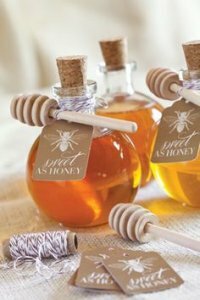 So all you need to worry about are table centres, name places and favours if you’re having them. Further to this, but not essential, you may want to bring some photos to hang in the bar marquee, a guestbook and a basket or post-box for cards. 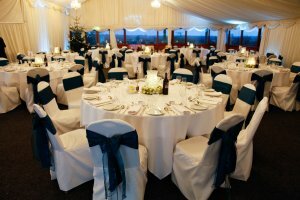 If you’re using our cushioned chairs, you may want to hire in chair covers. We can recommend a supplier or you are welcome to source your own. Alternatively you can use our ladder-back chairs which do not require covers. 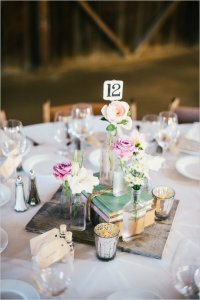 You will want to have some form of decorations on your tables. 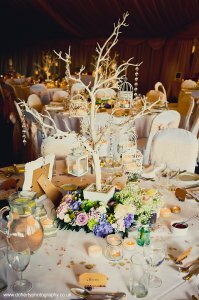 Table centres can be elaborate and eye catching or very simple and understated depending on your taste. 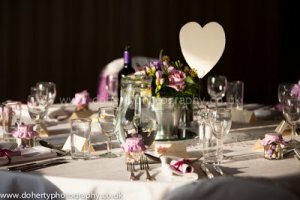 Flower arrangements always look beautiful and we can recommend a number of florists for your big day. 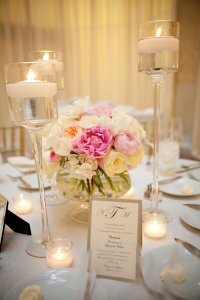 If you opt for large arrangements, it’s always a good idea to have tall vases so that your guests can maintain eye contact with those opposite them at a table! Recently, wild flowers have become increasingly popular and these smaller arrangements often in jam jars can be very pretty without being over powering. 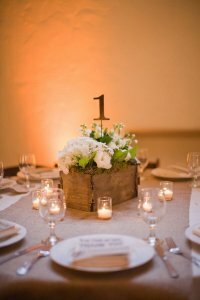 If flowers aren’t your thing, there are plenty of alternatives from candelabras to bird cages. 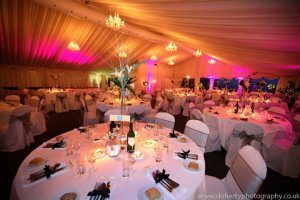 Work out what lighting is available at your venue and whether you want to add to it with candles or fairy lights. 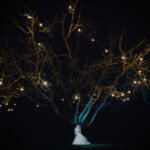 We believe the more fairy lights, the more romantic as you will see below! 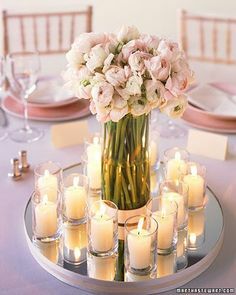 Candles also add atmosphere particularly at dusk. You might also consider these novel “Love Lights” which can be hired in from a local supplier; another great way to personalise your decor.